Chandigarh, India: Rajiv Gandhi emerged as a powerful and efficient politician when he joined Indian politics only after an unexpected death of Sanjay Gandhi in the plane crash. Earlier, he was a pilot in Indian Airlines. In 1981, he won the election of the Member of Parliament in Amethi and in 1983 he was appointed General Secretary of Congress Party. After the brutal killing of Prime Minister Indira Gandhi on October 31, 1984, he was sworn in as the caretaker Prime Minister. By taking a huge referendum in the general election of 1985, he duly took charge of the country as the Prime Minister. The Jananardan sympathy was an important reason behind the massive majority in the General Elections of 1985, but another main reason for Rajiv Gandhi's ascension to the post of Prime Minister was his modern attitude and youthful enthusiasm on various issues. He was the first Prime Minister to talk about the release of Indian democracy from the power brokers. He also took away the corrupt bureaucracy. He first gave new slogans to the nation by giving a slogan to 'the 21st Century' as a prosperous and mighty nation. As Prime Minister, he announced the new education policy. Various types of commissions were constituted for industrial development of the country. Efforts have been made to give new direction and direction to science and technology and the 'Technology Mission' for the first time in the country came into existence as an institutional system. Introduced on the initiative of Rajiv Gandhi, his political comprehension of the historic Punjab, Assam, Mizoram agreements. These agreements were crucial in the politics of the country. 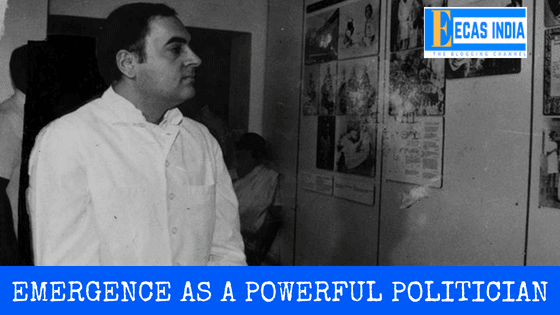 In the international horizon, Rajiv Gandhi also emerged as a powerful and efficient politician. During his reign, he traveled to many countries and raised diplomatic, economic and cultural relations with them from India. In 1986, after the leadership of the Non-Aligned Movement came to India, by giving clear and inefficient policies on many international issues, Rajiv Gandhi gave India a respectable place. 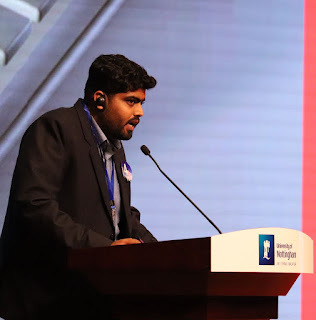 India's initiative in the formation of Africa Fund for the Palestinian conflict, the conflict of South African people against apartheid, the Swapo movement, the support of Namibian independence and the assistance of African countries have become the golden document of modern world history.